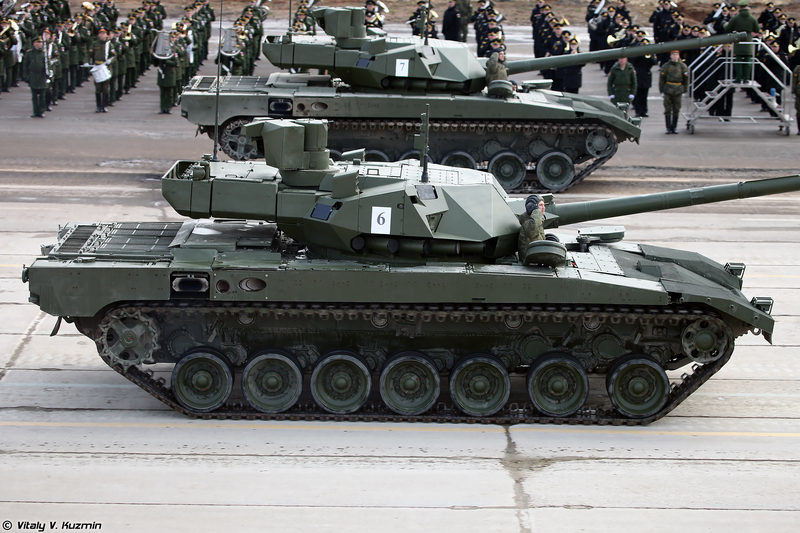 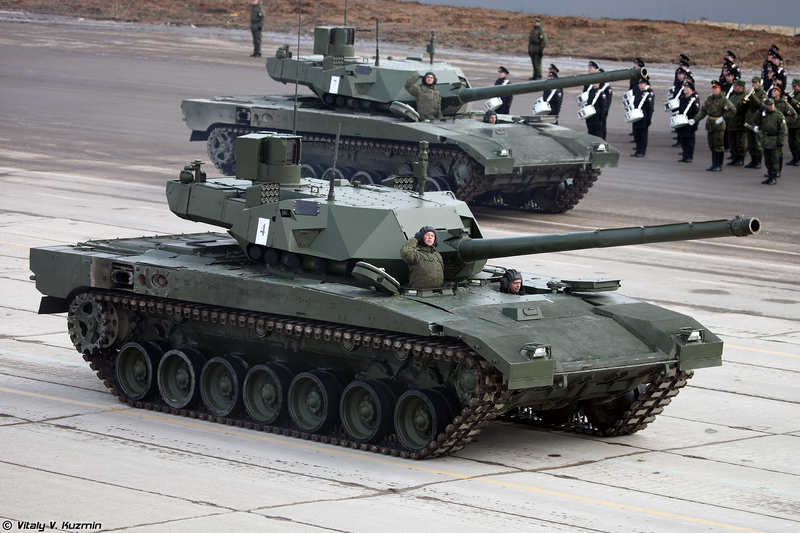 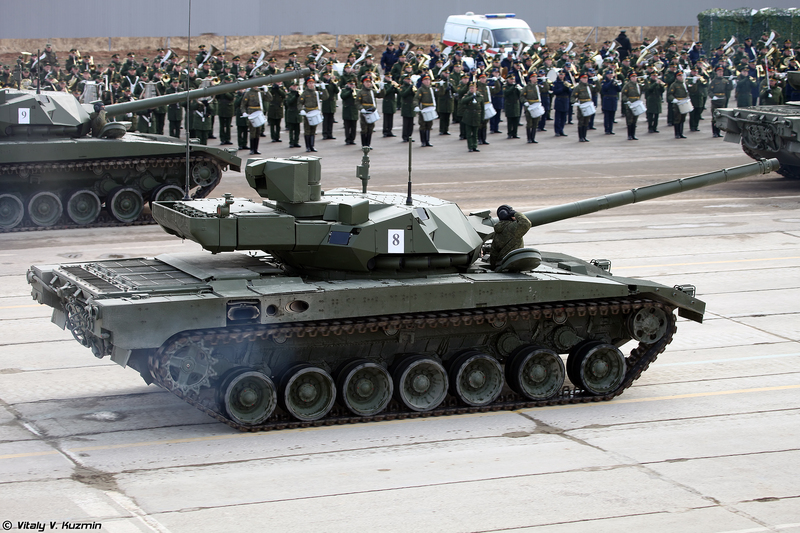 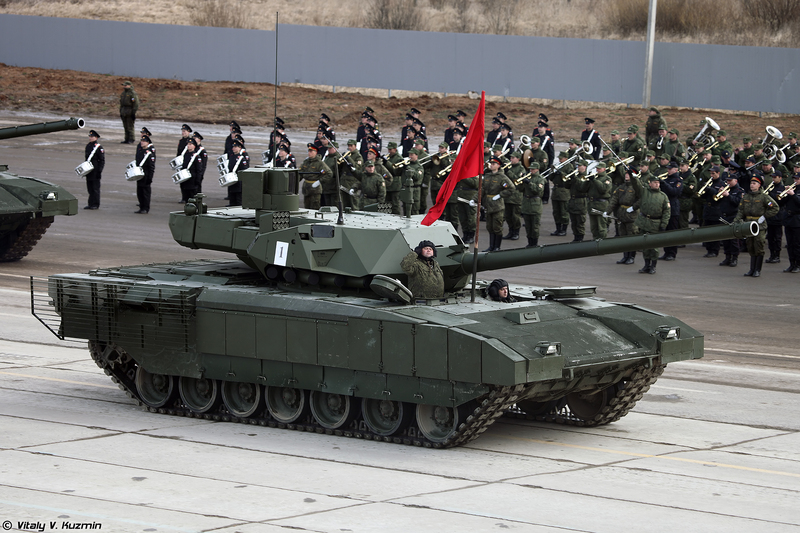 Russia might have begun work on developing a 152 mm nuclear tank shell to be fired from a future version of the T-14 Armata main battle tank (MBT), according to some U.S. weapons experts. 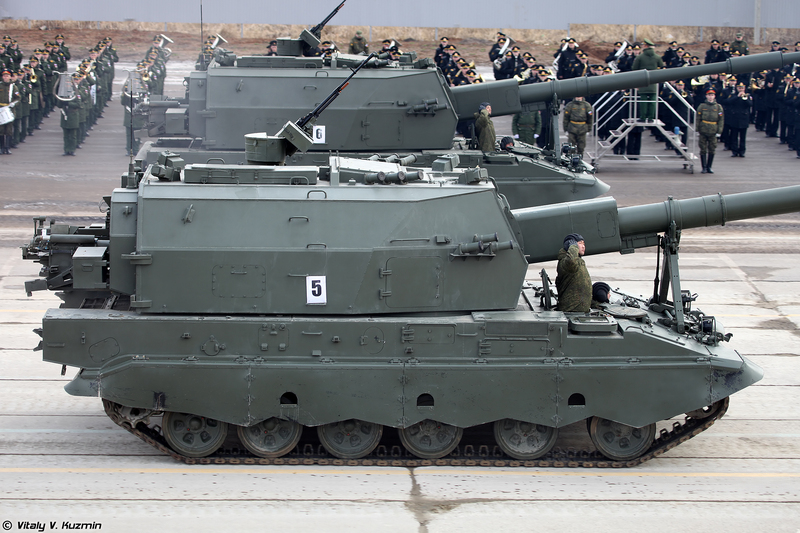 [...] This "nuclear tank" and its new 152 mm main gun are one of the end products on Russian advances in low-fission, high-fusion, sub-kiloton tactical nuclear technology. 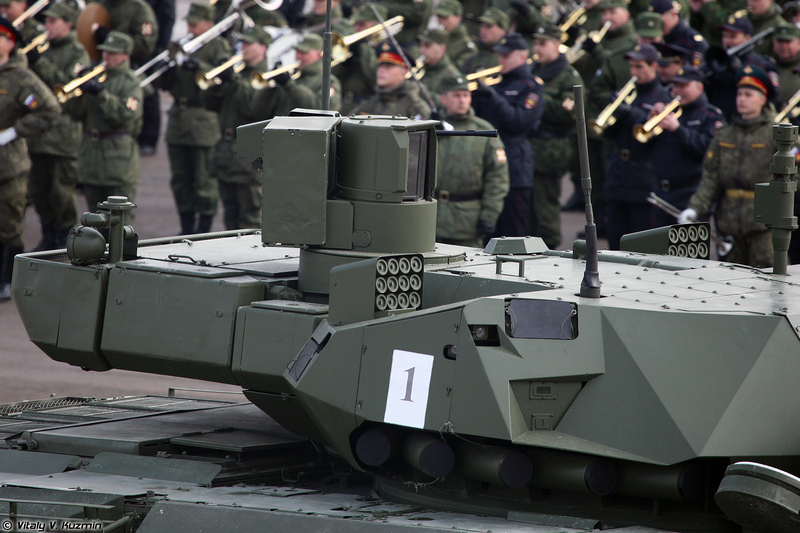 The Russians are expending significant resources to miniaturize nuclear warheads that arm their ballistic missiles and develop sub-kiloton low-yield warheads. 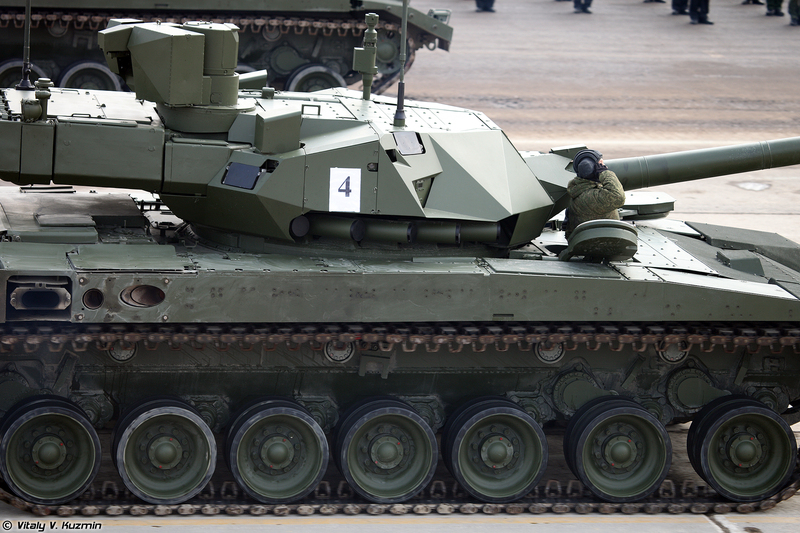 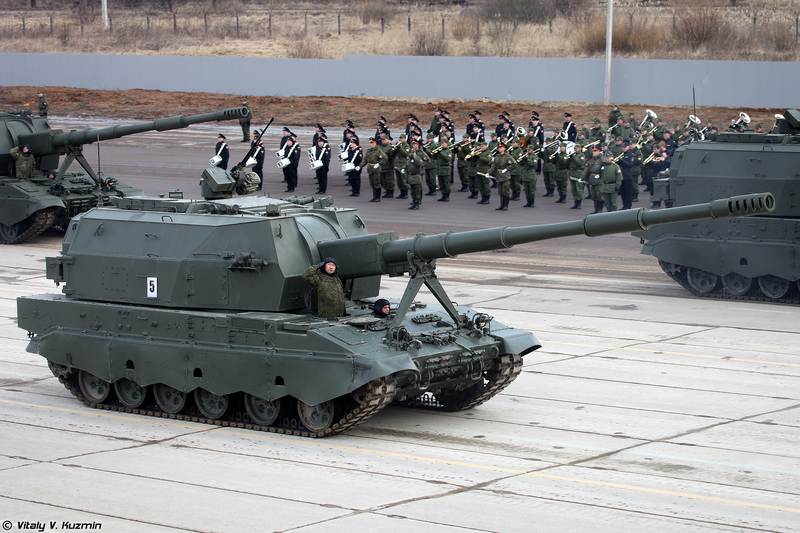 The Russians have announced the next iteration of the T-14 will be armed with 152 mm gun-missile launcher. 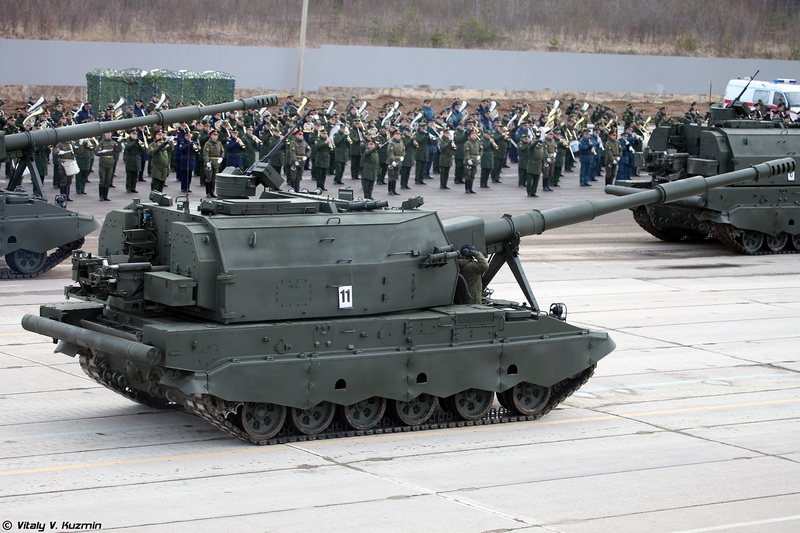 The new nuclear tank round might also overcome the hesitation of top Russian generals to field a 152 mm gun they consider a liability on the battlefield due to its heavy weight; its cumbersome and large ammunition and its low rate of fire. 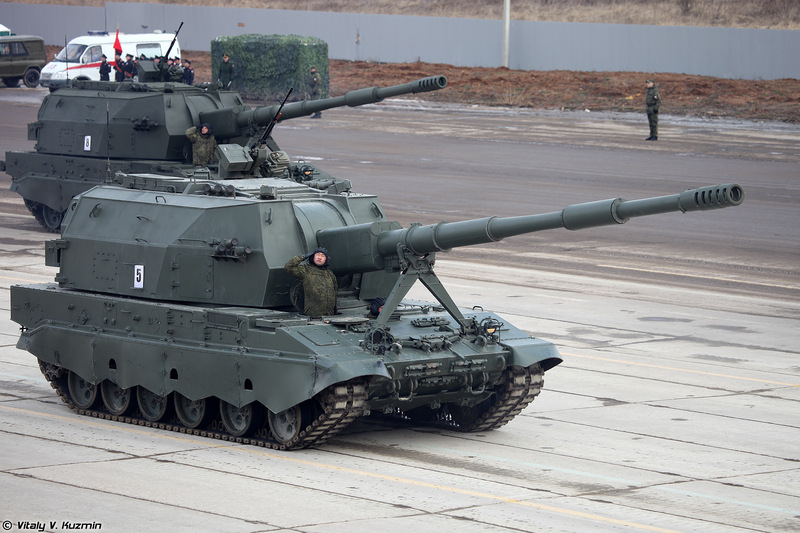 [...] The 2A83 smoothbore 152 mm gun-missile launcher is being considered for the next Armata iteration -- if this makes it to the factory floor and if the battered Russian economy can afford it. 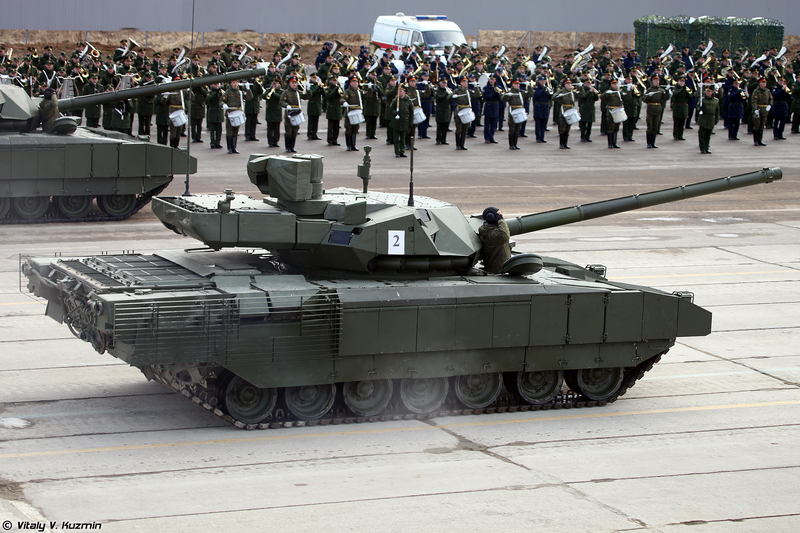 Russland: Eine friedliebende Nation, die Nato-Präsenz an der russischen Grenze ist Kriegstreiberei. 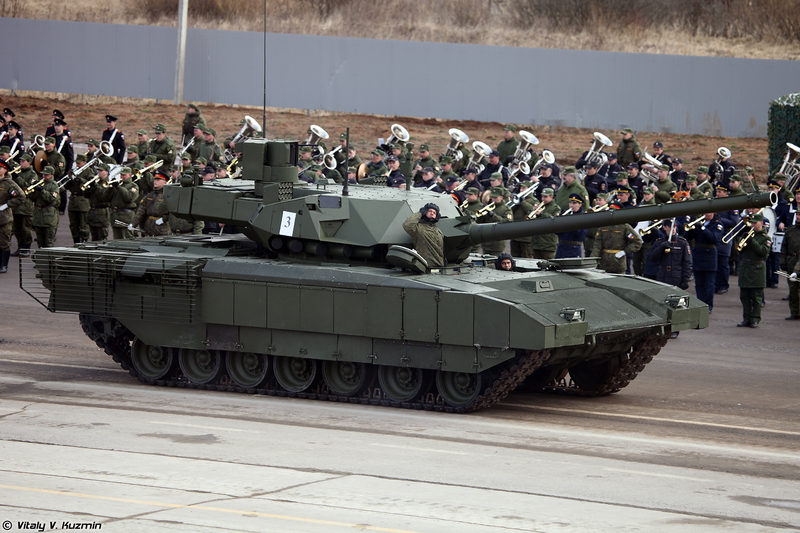 Die Produktion des T 14 Armata wird nach 100 Exemplaren eingestellt. 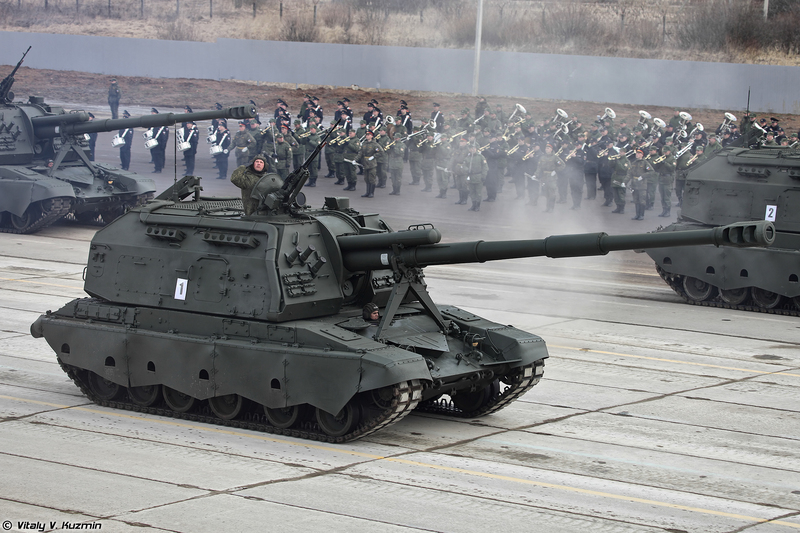 Keine Serienproduktion von Armata und Kurganetz?